What is a Reverse Mortgage, and Do I Need One? 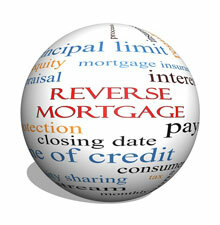 A reverse mortgage is one way of extracting the equity from your home in order to support your financial needs. Various private, public, and federally-funded entities offer this type of loan, which can be a long-term financial solution in some situations. However, a reverse mortgage is not suitable in all circumstances, and does not work as a short-term solution. With a regular mortgage, you make the monthly payments on your mortgage loan and at the end of the terms of your loan, you own your home. A reverse mortgage does the opposite. The bank or mortgage lender will make a monthly payment to you over a set term. At the end of that term, or upon your death, the bank or mortgage lender will own your home. The loan must be repaid if you sell your home or move away from the home for 12 months or more. Essentially, a reverse mortgage allows you to use the equity in your home through either monthly payments, as previously described, or a line of credit. It is important that you only use a reverse mortgage if it truly meets your needs and is in your best interests. There have been various mortgage scams associated with reverse mortgages in the past, so it is also essential that you deal only with a reputable lender or a local entity. A reverse mortgage is only one of the many ways that you potentially can finance long-term care or other significant financial needs. 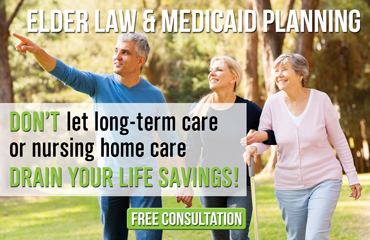 Whether a reverse mortgage is right for you or not, the Michigan elder law lawyers of the Law Offices of The Elder Law Firm PC have handled countless cases on behalf of individuals who are looking toward their long-term care options. Contact our office today and set up a free consultation with one of our experienced elder law attorneys.